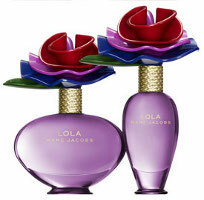 The 2010 fragrance awards season is over*, and we have a winner: Marc Jacobs Lola. Like Daisy back in 2008, Lola took a grand total of 7 awards for best fragrance, with nods from the Fifis (US, Germany, Italy, UK), the Canadian Fragrance Awards and Cosmetic Executive Women (US and UK). The second place winner was Narciso Rodriguez Essence, with three awards. On the men's side, Tom Ford Grey Vetiver took 3 awards, and John Varvatos Artisan took 2 awards. *Not including Basenotes and Spain’s Academia del Perfume — I do not know when their awards are scheduled for 2010. Marc Jacobs must be proud of himself, haha. I do like the fragrance though. I wouldn’t buy a bottle for myself but it is pleasant enough (my mother is dying to get it for the bottle alone). I love John Varvatos Artisan though! That is a great scent for summer. Artisan is a really great scent, and glad it got recognized. I’m glad too! I’ve received compliments when I wear it – a great unisex, IMHO. We seriously need to have our own awards – at least something non-mainstream would have a chance of winning. It does seem like it would be a lot of work – you’d have to do nominations, which basically have to be done by hand. Actually voting wouldn’t be that hard to set up – it’s the beginning phases that would take forever. I think they won because of the bottle! No doubt it is a big factor. I like the bottle actually, not the juice. I like the bottle too. Actually I thought the scent was fine, just not all that interesting. I’m just not sharing the love of Grey Vetiver at all. It has it’s moments don’t get me wrong but there is a prominent rubber/plastic note in the early to mid stages which I find really off-putting, it smells really chemical and artificial. There are better Vetivers out there. I liked it, but do agree it’s far from the most interesting vetiver out there…don’t see any reason for it to win an award.